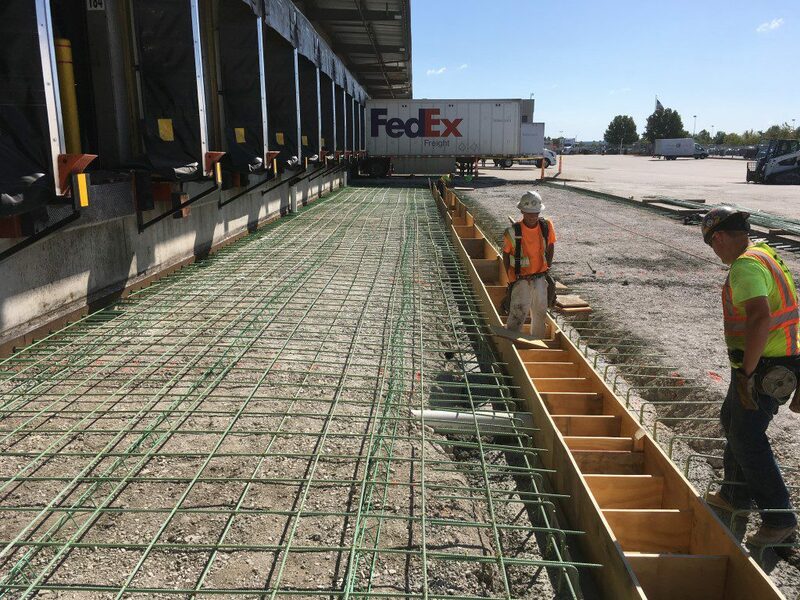 FedEx Freight contracted with MW for its expertise in soil remediation, reinforced concrete paving, and ability to perform and manage a very aggressive work schedule without impacting FedEx’s congested daily operations. 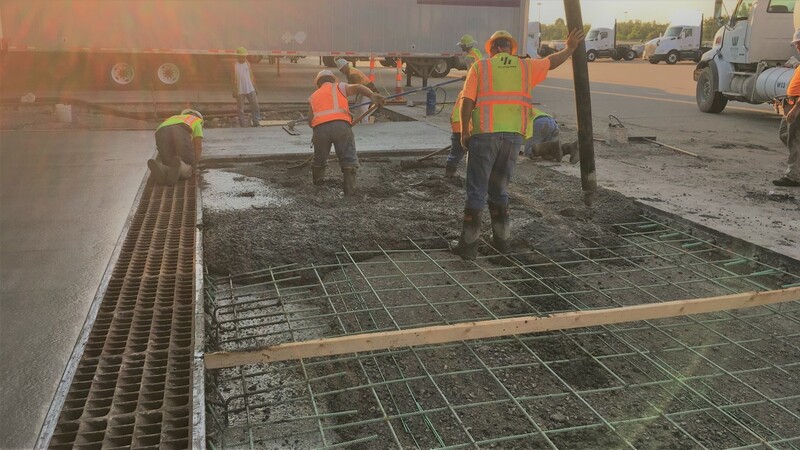 The 209-bay service center located in St. Charles, Missouri, experienced settlement of the concrete approach aprons around the perimeter of the facility creating an improper dock height for loading trucks. The entire 40 ft. wide perimeter ribbon of concrete was to be removed and replaced but only in increments of 11 bays at a time, to avoid the slightest impact to FedEx’s daily operations. After removal of the existing pavement, the entire site was undercut 1 ft. to replace the fat clay with a large stone subgrade stabilization. A perimeter trench drain, incorporating the existing roof scuppers, was installed to capture storm water sheet flow and divert the runoff through a series of manholes and storm sewer pipe to the existing lagoon. Over 10,000 SY of base aggregate and 8 in. 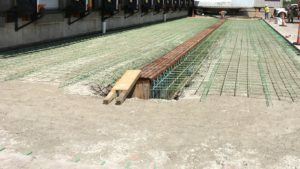 reinforced concrete pavement was then placed in 11 bay increments. 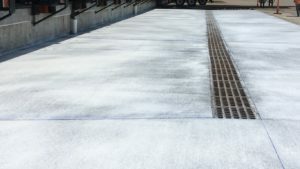 During the modification process, MW discovered the T-Dock portion of the facility had experienced footing settlement as well as pavement settlement and was shearing the interior reinforced concrete slab. 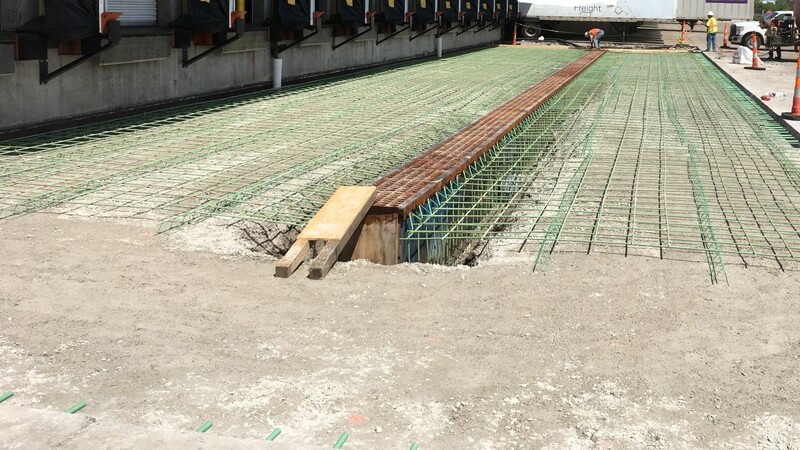 A relief section of the interior slab was removed, and the footings were pinned and jacked using helical anchors and hydraulics to ensure no further settlement could occur. Despite challenging subsurface conditions and adverse weather, the FedEx project was completed 1 month ahead of schedule and under budget, with no interruptions to the FedEx daily operations.